The owner of a popular local restaurant in The Bronx, was looking to expand his space and open a catering hall to handle weddings, corporate events, and other celebrations, for his existing clientele requesting it. 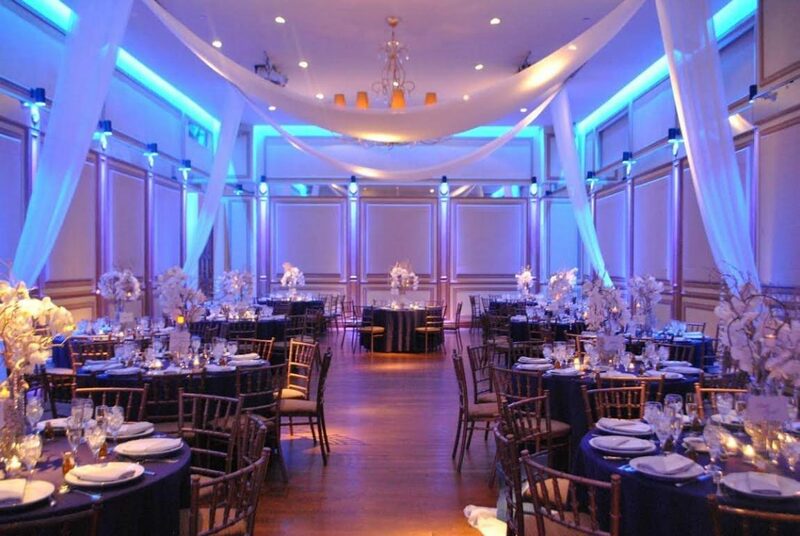 Connected to the restaurant next door, the catering hall has a reception area with stair up to the roof deck, and a large open room that holds up to 250 people, or can be split into 2 separate spaces for smaller events. In keeping with the more traditional, Italian style theme, we used moldings throughout the space. Since the room was a large rectangle, we created paneling and columns, in order to break up the flat walls. More depth and texture was then added using decorative paint finishes on all of the molding and wall surfaces. The chandelier and sconces were designed and made custom for the rooms. The long panel curtains are a combination of 3 different sheer fabrics that align with the exterior architecture on the wall in order to reflect it back into the space.